My first convention of the year. There’s something about cons in February that I just can’t say no to, apparently. While in year’s past I’ve held out for a larger anime con as my first appearance of the year, this year I went with back-to-back appearances for Mighty Con in DuPage and Milwaukee, respectively. Mighty Con was a fun time, and a call back to the kinds of conventions I remember attending when I was first getting into being a convention attendee. A fun time for the whole family, in an intimate setting where you have access to local creators and time to actually talk to them, and a variety of vendors to check out and purchase from. DuPage was set up on a fair ground, and had really good attendance. A lot of local creators I knew were in attendance, including a few folks who had attended my comic making panels in the past and had finally taken the plunge to get their own table. 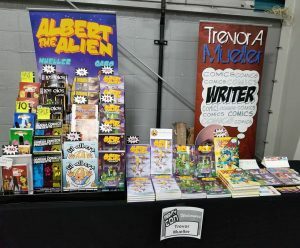 Smaller shows like this are an excellent opportunity for new creators to get their feet wet and gain some experience tabling at a convention, since the costs are low and a one-day show helps manage inventory levels (eg: you don’t have to go home and get more books or prints for the next day). 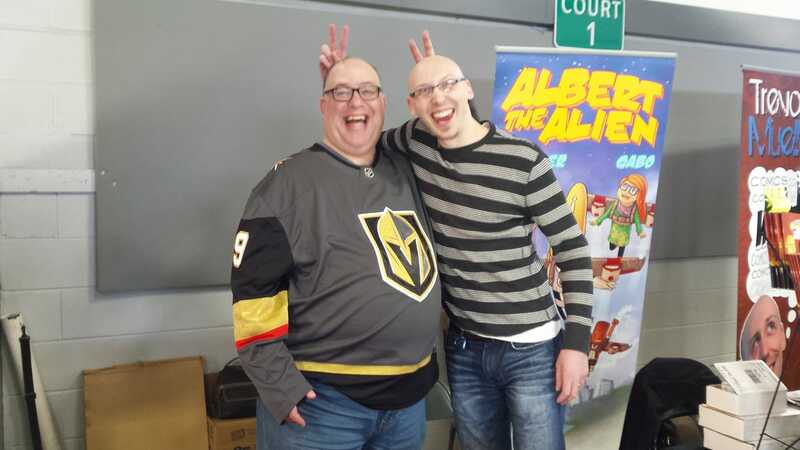 I tabled next to my buddy Russell Lissau during the DuPage show, and we spent the day making jokes, selling comics, and generally having a great time. I went through boxes of Albert the Alien, which continues to be a popular series, especially among young readers. 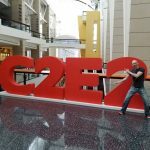 If you can find someone who’s a great table neighbor, it really does help to make or break a show – regardless of sales. Mighty Con Milwaukee was a solo show for me, but I had the pleasure of tabling next to an actor from Power Rangers Time Force (which was after my time, so I never watched it, but the actor was a very pleasant fellow). 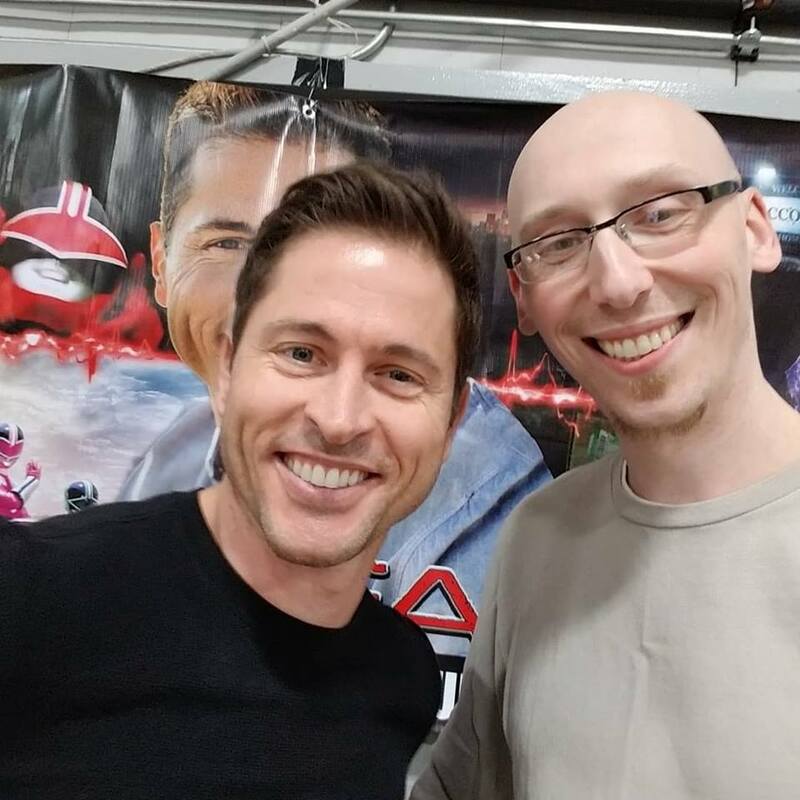 Jason was a true Red Ranger, very kind and inviting to fans, approachable, and extremely eager to meet people. He loved when people of all ages came to visit his table, and when we were slow he was very friendly to chatting with me. Overall, Mighty Con at any of the locations I attended were a fun time. 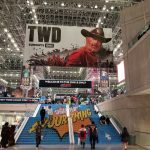 These shows are a call back to the conventions of my youth, fun for all ages and with a variety of things for collectors, fans, or enthusiasts to check out and enjoy. I definitely plan to put Mighty Con on my appearance list again soon, and recommend you check them out if there’s a show near you this year or next.